You may have heard that dental implants supported by titanium posts and your own jaw are revolutionizing the field of cosmetic dentistry. And that’s absolutely true. Most of the advances in dental implants and bone grafting have come over the last two generations. As recently as 30 years ago, the major concern among implant dentists looking to restore patients’ teeth was creating a stable enough foundation to support dentures. Today, three types of bone grafting (socket grafting, block bone grafting, and sinus grafting) are used by implant dentists to strengthen the upper jaw (maxilla) or lower jaw (part of your mandible). 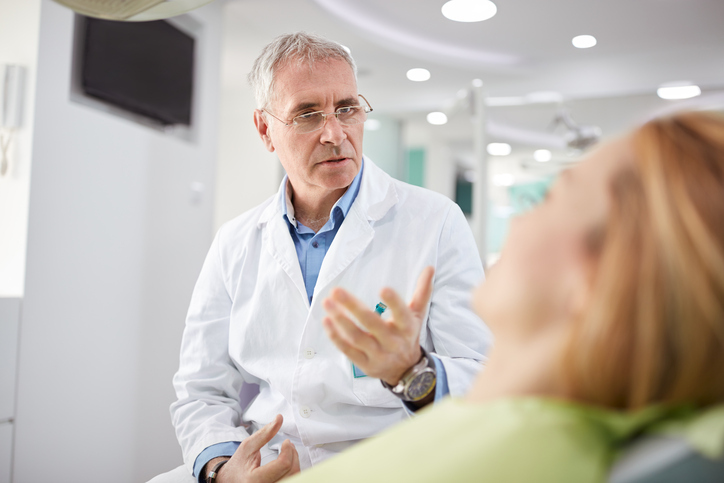 How Do Bone Grafting and Osseointegration Support Dental Implants? Bone grafting, in the most fundamental sense, is a surgical procedure that implant dentists use to replace missing bone, encourage the growth of new bone in a process known as osseointegration, and support dental implants. Osseointegration takes place when the living bone in your jaw fuses with the load-bearing, highly durable titanium posts that support today’s dental implants. Most patients who undergo bone grafting experience osseointegration. When the posts forming the foundation of your dental implants are placed into the jawbone and the bone starts attaching itself to the implant and firmly supporting it, osseointegration has taken place. Ideally, a few months after the load-bearing posts for your dental implants have been installed your jawbone would have significantly fused to the implant’s posts. There are some patients, though, whose jawbones aren’t quite strong enough to support the titanium posts that keep dental implants firmly in place. For those patients, bone grafting may be an option. To support dental implants sometimes a bone grafting procedure is required. Bone grafting essentially takes a small piece of bone from another area of your body or uses a synthetic copy of bone and customized grafting material, to graft onto the patient’s jawbone. One type of minor graft is known as a socket graft. Technically, this kind of graft is known as an alveolar ridge preservation graft. A socket graft is usually used when the patient is missing just one tooth and has a small area that would benefit from being filled in by new bone. It usually takes three to six months between putting in a socket bone graft and installing a dental implant. In cases in which the patient is missing more than a few teeth and there’s significant jawbone deterioration, a block bone graft (or major bone graft) might be recommended. Tissue banks, synthetic bone material, or the patient’s own bone might be used in a block bone graft to fill in the space. A block bone graft that uses the patient’s own bone is called an autogenous graft. The bone for a block bone graft can come from the patient’s hip, tibia, or from (very common) the third molars (where your wisdom teeth, if you had them removed, used to be). It usually takes about four months between installing an autogenous bone graft and putting in implants. A sinus bone graft is sometimes called subantral graft, sinus lift graft, or sinus lift procedure. Among the three types of bone grafting a sinus bone graft can potentially require the longest healing time at around six to nine months. It can take this long for the donor bone to become part of the upper jaw. To find out whether you’re a viable candidate for dental implants, contact Central Florida Periodontics and Implantology or request to schedule an appointment online today.